Getting the shipping container you want just got way smarter. Whatever your plans are around Australia, Melbourne, Brisbane and beyond, talk to us and we’ll make them happen. 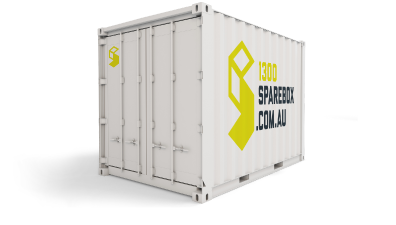 Hiring a SPAREBOX is hassle free and easy. Tell us what you have in mind. New or Used. We find you the right fit at the right price, in the right city, whether in Melbourne, Sydney, Adelaide or Brisbane, because we know containers back to front. Quality-built, robust, watertight, secure, do-what-you-want-with-it portable space is a phone call away. With a full range of shipping container solutions, new or used, to hire or buy, we take care of your needs so you can get on with taking care of business. Container hire offers flexibility and practical cash-flow advantages. Buying gives you the freedom of long term use and custom modifications with the option to re-sell down the track. Choose from a range of standard, refrigerated and custom-built containers, all available with add-on options. New or used, we have the size you need in a verified grade to suit your budget and purpose. Get one or two or three or more shipping containers delivered swiftly to your door, wherever you are across the country. If you’re hiring, we pick up just as efficiently when the job is done. Give us the chance and we’ll help create functional, fit-for-purpose SPAREBOX spaces that answer your brief to the nth degree. Whatever your needs, domestic or commercial we have quality, portable hire solutions to suit your project. We get you the best hire prices and the right size shipping container with fast delivery Australia wide. Know that you are in good hands when it comes to the hire & rental process of your shipping container. Convenient, cost effective, secure storage with flexible options for as long as you need, it's that simple. your Sparebox can serve whatever purpose you have in mind – and then some.